This month's reflection is going to pretty much be solely based around events that happened in my life this past week gone. You may have noticed that a post didn't go up on Saturday as per usual and this is why, life just got a bit to busy and there were to many things going on that I wanted to be present for, that the blog had to go to one side for the moment. But know we're back to normal programming. If you've been following me on Instagram you've probably already seen a lot about this so I apologise for that, but this is going to be pretty much the last time I make mention of it online, so bare with me. So on Friday 28th April, 2017, I officially graduated from my Undergraduate Bachelor Law (Honours) degree with all my friends. This was my second graduation after I previously walked the stage a couple of years ago for my Undergraduate Bachelor of Communication, but this time it was a little more special. 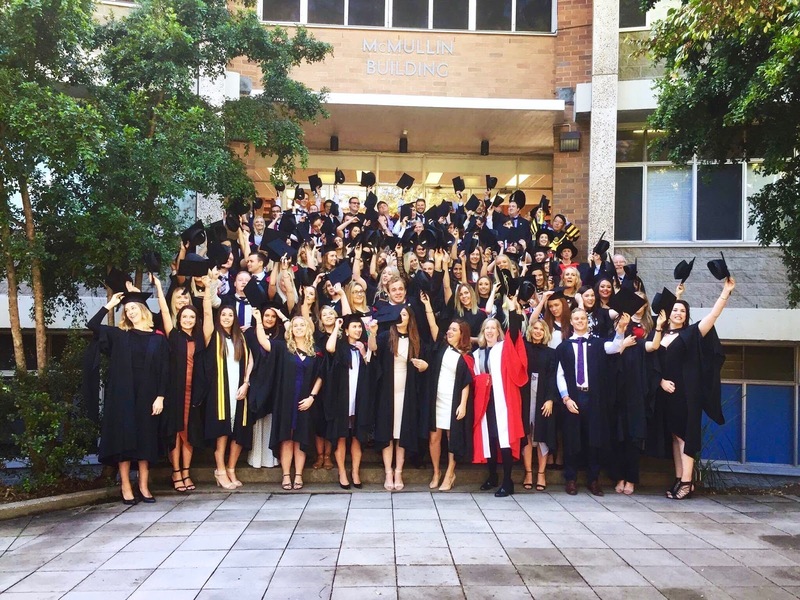 That's because this time my entire friendship group were graduating with me, and this graduation truely marked the end of my studying career at the University of Newcastle with all my friends. I'm continuing to study now but it's a much different world and environment to the one I've come from, and the end of studying at Newcastle has truely felt like the end of a chapter. This week was also my Mum and Aunt celebrated their birthdays, so my family was around for both those and my graduation, and there were celebrations after the graduation with my year group, so it was a big week. But I enjoyed every second of it. I wanted to take one final moment to reflect on my time in Uni and what it has meant to me, what it's taught me and what it's given me. Going to Uni, for me at least, became much more than just turning up in the morning to classes, sitting in the library trying to finish assignments and drinking endless coffees. It was more than stressing myself out over exams and pushing through group assignments. Uni for me became a very social place, and truth be told it was the social aspect that got me through and has seen me actually graduate with a Law degree. I never went to Uni with the intention of studying Law, I had planned to simply go and study Communications and focus on Journalism. When HSC results were set to be released, I was sitting there calculating how many extra points I might get and therefore how bad I could do and yet still get the marks I need to get into the Communication degree. To my surprise I did ALOT better than I was expecting and suddenly I had a lot more options open for me. I found there was a double degree that combined Communication and Law, and so I figured why not add that on to seeing as I can. It was something I'd never intended to study before, but maybe I would find a new passion. I've known for a while now that being a lawyer, at least at this stage in my life, is not something I aspire to, and I still stand by that now. I know it's there for me however should I ever feel that spark ignite in me, and I like that I have options, but for now I'm happy sticking to writing and seeing where that takes me. Knowing so strongly for a few years that law wasn't going to be my chosen field at the end of the day, many may wonder why I bothered to stick it out for five years of my life; why bother continue on with something you don't think you'll ever get in to at this point. Well one; I was a few years in by the time I made up my mind and I figured I'd done all the work up until this point that I should see it through, and I knew by doing so then I could always have that career option to switch to should I ever feel like it. Two; my friends - and my whole group agrees we all played a massive part in each of us reaching the finishing line alive and mentally sane. I lucked out big time with the friends I made. Some people make one or two friends, some unfortunately don't really make any, I made a whole group of about 9 or 10; I honestly haven't ever counted properly. Our group slowly came together within the first week or two of Uni and five years later here we are still standing strong together. 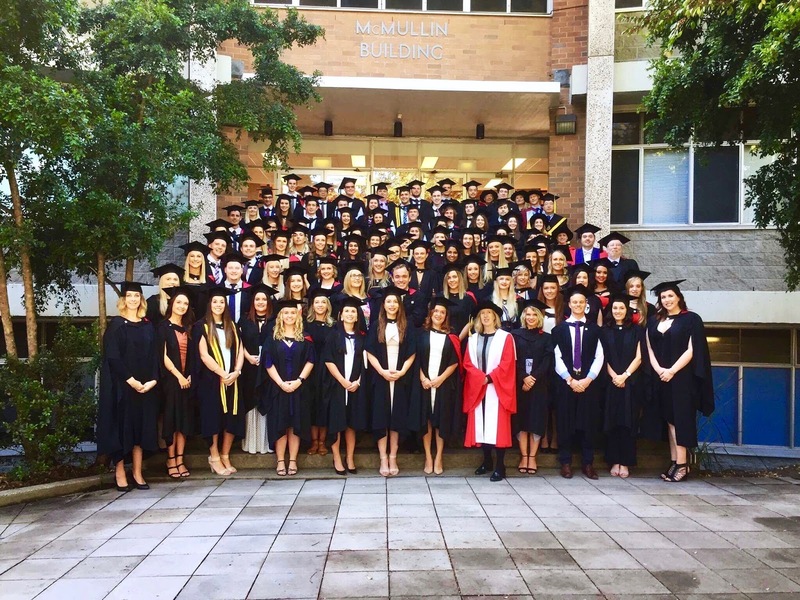 We all did double degrees, and while our second degree wasn't always the same and changed around, the common thread between us was that we all did Law. So most law lectures you'd find us taking up an entire row of seats, plus a few extra, you'd see us loudly walking around campus together, and you'd likely find us sitting on the grass or in a courtyard for lunch together. Being such a large group it was hard not to stand out a little bit and I think people quickly caught on to our friendship circle. I don't quite know how people outside our circle perceived us. Maybe we came off a bit intimidating simply because there was so many of us together, but I can tell you exactly what it was like being that circle - amazing. If you need proof, how's this; we've all been together for five years, we gone on weekends away together, studied together, even managed to organise an overseas trip for our entire group and went over to Bali for two weeks together, and not once has there been any sort of massive fight. Sure every now and then a tension or two may arise when we try to arrange something, but when your accommodating for so many different needs and wants that's bound to happen, but at the end of it, we would manage to work something out without anyone losing their cool or any tears flowing. Our group is also so damn supportive. Whether Uni is getting you down or something in your personal life, you knew you could share it within the group and anyone who was available would be asking if there was anything they could do and whether you wanted to hang out and do something to make you feel better. Another added benefit was there was always plenty of subject notes and assignment help available should you ever need or want it. We would all go off and do our different things, we all had friends outside the circle, lives and interests outside the circle (which I think was extremely healthy and necessary), and none of it ever negatively crossed paths or ever drew anyone away for to long. 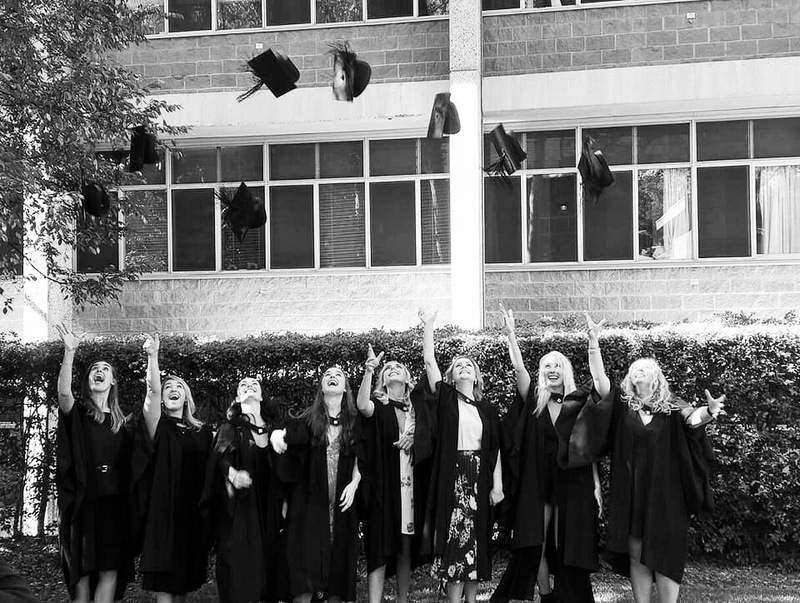 What Uni and meeting this amazing bunch of ladies showed me in the end was that the motto I live by really rings true - 'everything happens for a reason'. 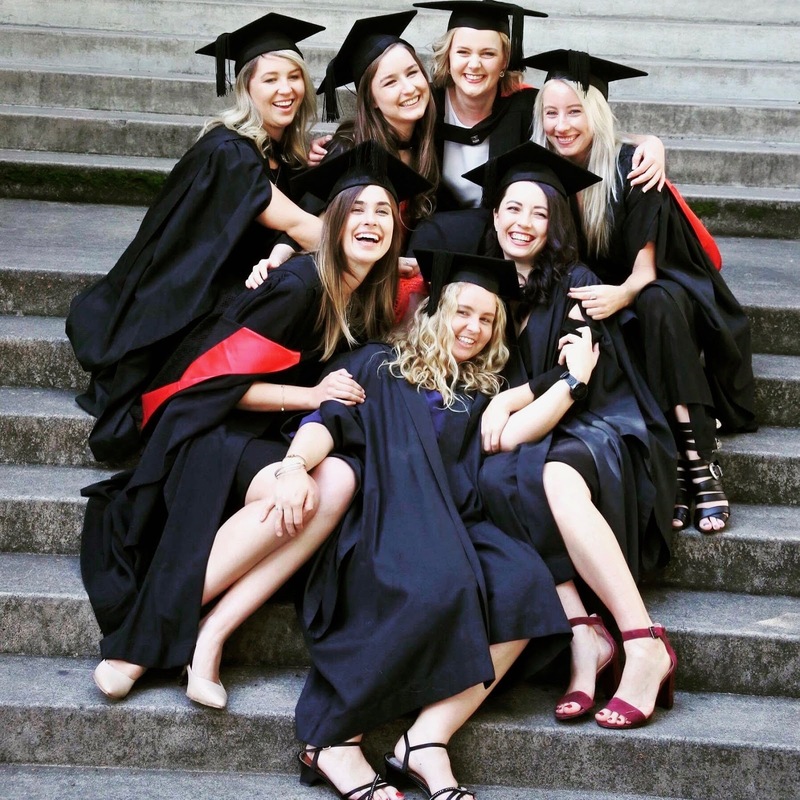 I knew pretty quickly Law wasn't my calling, but if I had never decided to do the double degree, I would have never meet any of these girls and wouldn't have such amazing friendships and memories after these five years - frankly I would be in a completely different place in my life. I wasn't drawn to Law because it was going to be a career path, life drew me in to this degree so I could meet my group of life long friends. As I've said, I feel so lucky and blessed to have meet these girls, I know I've made some strong friendships, friendships that unfortunately some people will never make in their life let alone at Uni, and I've been extremely blessed that it's with a bunch of ladies who are not only all beautiful, but level headed, smart, compassionate and awesome in their own ways. Unless life calls, you can be sure that everyone will always try and be at any social situation we arrange together, they will always try their best to be there to hang out. I know if it wasn't for them I wouldn't really have found any reason to stick around and I'm not sure I would have been graduating last week. You always wonder what is going to happen to friendships when you're time together comes to an end and you have to go off into the world and do your own thing. Many of our friends have already spread themselves out across the State and even the country and I'm happy to report we're still going strong. Thanks to our Facebook Messenger group which has been around since first year, we still talk almost everyday and so it often feels like we never left each other when we catch up. I think, now that graduation is over and that last chapter has truely closed, there may not be as many times when we're all together in the same city to see each other, but I have no doubt we will see each other from time to time and I have no doubt that we'll all be here for each other until we're old and grey and eventually move into the same nursing home together and bring the party. So girls, if you've managed to read this far, I want to say thank you for being there and for just being down right amazing humans. You're all so beautiful and special and I know I'm the luckiest person in the world to have meet you all and will continue to be for as long as I know you. I can't wait to see what each and every one of you does with your lives because I know whatever it is, it will be amazing and you'll conquer the world with whatever you choose to do. Until we all come together again, keep yourself save and I love you all.